Let’s go ahead and bring down the menu and see what we have. 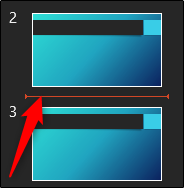 Just choose the slide template that works best for what you want to do. 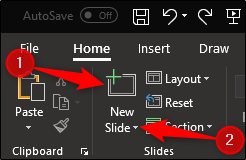 To insert a slide between two already-existing slides, go to the Slide Preview pane and select the area between the two slides where you want to insert the new slide.